Melanie has been an associate at the firm since January 2015, with a practice focused primarily on trust administration and probate. Born and raised in Alaska, Melanie left the state to attend college and law school. She received her B.A. in Political Science from New College of Florida and her J.D. from Willamette University College of Law. During law school Melanie clerked at the U.S. Attorney’s Office for the District of Oregon, was an enthusiastic student of the school’s Trusts and Estates Legal Clinic, and served as an executive editor of the Willamette Law Review. 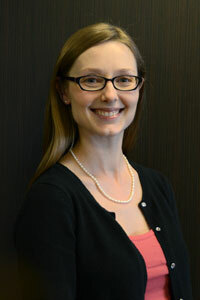 Melanie is a member of both the Oregon State Bar and the Alaska Bar Association, and maintains an active license in Alaska. She is thrilled to once again be living in her home state. In her spare time, Melanie can usually be found in a ballet class or enjoying the beautiful Alaskan outdoors with her husband and daughter.